Hundreds of residents of the Pierrefeu-du-Var village, which is 12 miles away from the Hyeres commune in southeastern France, participated in a protest against the creation of a new reception center for refugees in the commune, local media reported Saturday. MOSCOW (Sputnik) — According to the Europe 1 radio network, about 800 residents of the French village took to streets to protest against the reception of some 60 migrants from the Calais refugee camp in an empty building, which had previously been occupied by a psychiatric hospital, in the Hyere commune, while demonstrations concerning the issue were also held in the neighboring Pierrefeu and Forges-les-Bains communes. The protests are organized by the Human Rights League and left parties, supporting the refugee reception centers, and the local National Front (FN) party, which opposes the idea of migrant reception in the Var department. On Thursday, Patrick Martinelli, the unofficial leader of the Hyeres commune, said he opposed the relocation of migrants at it could cause “grave tensions” in the region. On September 24, French President Francois Hollande called on the authorities of the French city of Calais to shut down the refugee camp hosting as many as 9,000 people, and to relocate refugees to other reception centers across the country. 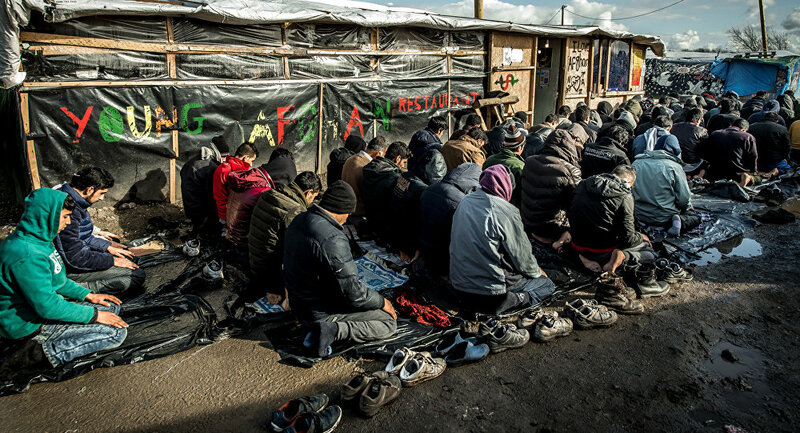 The camp is seen as a gateway to the United Kingdom by thousands of undocumented migrants. French Interior Minister Bernard Cazeneuve is said to have ordered the demolition of the northern part of the camp. In March, the French authorities almost dismantled the southern part of the Calais migrant camp.